The Friends of Batahola board members talk often about how to make more people aware of the great work that is happening at the Center. One of our ideas has been to increase the number of visitors to the Center. We know from experience that once people visit the Center they are forever changed. Each summer, students from Archbishop McNicholas High School and St. Ursula Academy in Cincinnati, Ohio, come for an immersion experience and return home both energized and humbled. This past March, former board member and long-time friend of Batahola Terri Holman organized a delegation of friends to visit the Center. Impressed and moved by all they experienced, the group is making plans to return next year. This is how lifelong relationships begin! (You can read about Terri’s delegation and their trip online at friendsofbatahola.org/newsletter/spring-2017.) 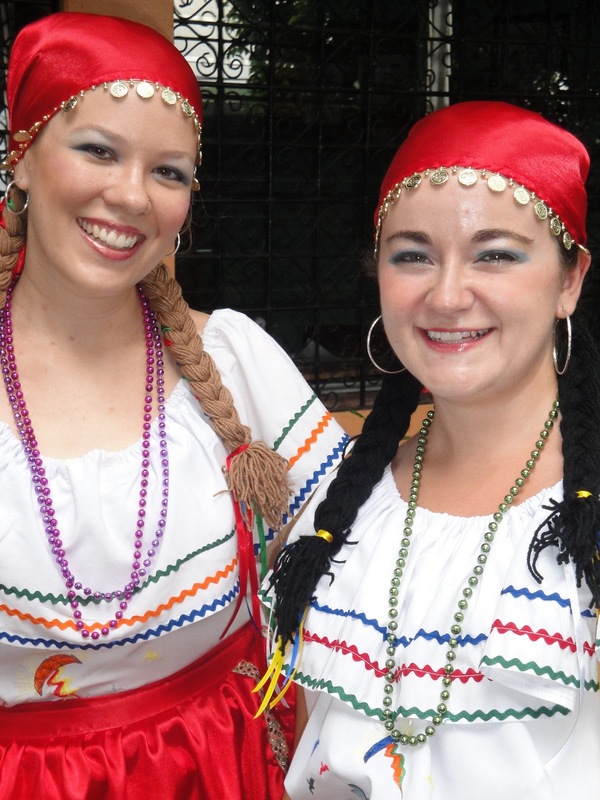 Perhaps you would like to plan a visit to the Center with a group, meet our scholarship students and violence prevention staff, attend an arts and culture performance, and talk to our dedicated adult literacy students. Beware! You, too, will be inspired and forever changed. 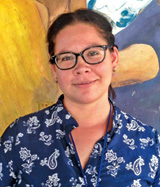 Our new Arts and Culture Coordinator, Mora Garcia Flores, a social worker in Managua, was so inspired by the Center’s reputation that she wanted to use her talents and skills working at the Center and to be, as she said, “part of something beautiful.” Mora’s story is on page 4. We welcome her to this important position and to the family. Students watch Professor Maria Antonio Centeno closely as she demonstrates styling techniques. Professor Maria Antonio Centeno is always surrounded by a ring of students. When class is in session, students hang on to her every word. 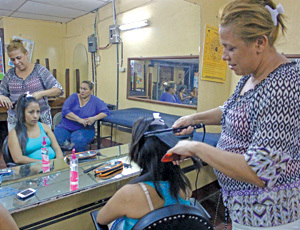 “Relax, take it section by section,” she coaches her students during a straightening lesson. Alfonso hopes to broaden his skills to gain more clients. Each student has a dream. 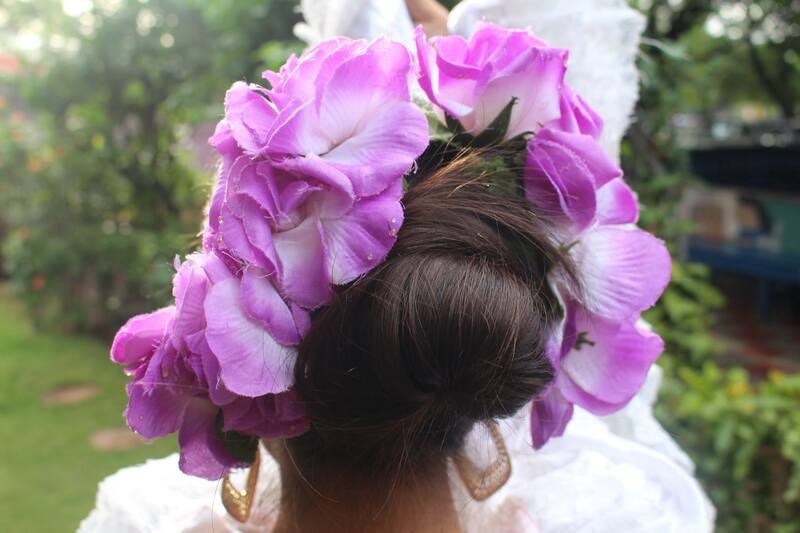 Giselle’s dream is to “one day open my own salon. I’m going to convert a room in my house. I want to be able to take care of my children during the day while working. I’m hoping the class can give me the skills necessary to achieve that.” The students nod in agreement and with confidence. Under Professor Antonio’s guidance, they believe by the end of Advanced Hairstyling, there will be nothing standing in the way of their success. If you would like to help an aspiring student like Giselle, Anna, or Alfonso, please make a donation today. It was during a Christ Renews His Parish (CRHP) weekend retreat at Immaculate Heart of Mary (IHM) parish in Cincinnati, Ohio, when Roberta Veleta became aware of the Center. A fellow retreatant, Sue Keefe, was on the board of Friends of Batahola (FOB) and was actively involved in every aspect of the Center. After the CRHP retreat, Roberta and her Small Christian Group, began to volunteer at parish fundraising activities to benefit the Center. From 2009 to 2013, Roberta, an accountant by training and a business professional, served as Treasurer on the FOB board. She was instrumental in streamlining the financials and donor recognition with bookkeeping procedures and software. Her work gave the board a solid understanding of its finances and support trends. She also helped to develop policies for the missionary volunteers working at the Center. Roberta and her husband, Rich, have two sons. 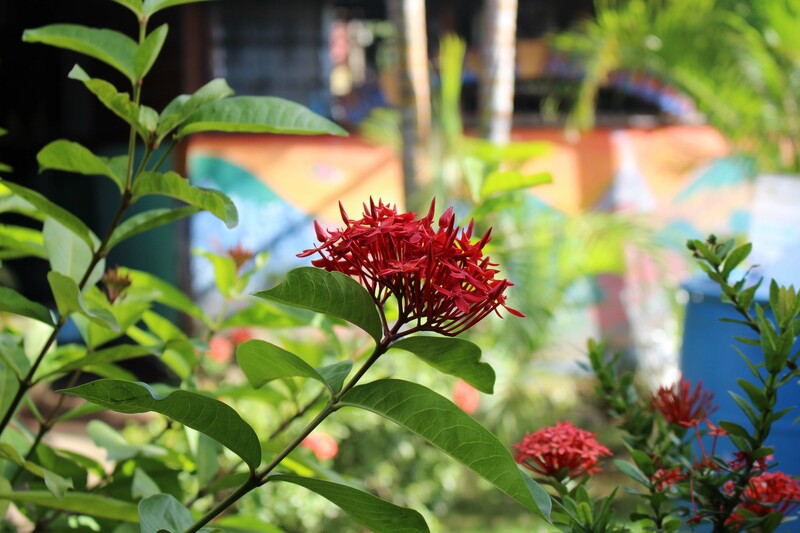 Both boys have visited the Center and were influenced by the generous, welcoming, and friendly nature of the community. 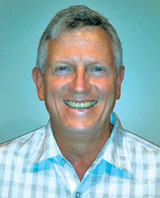 Their oldest son, John, created a video about the Center as a film project while at Ohio University. Their youngest son, AJ, visited the Center as a high school student. 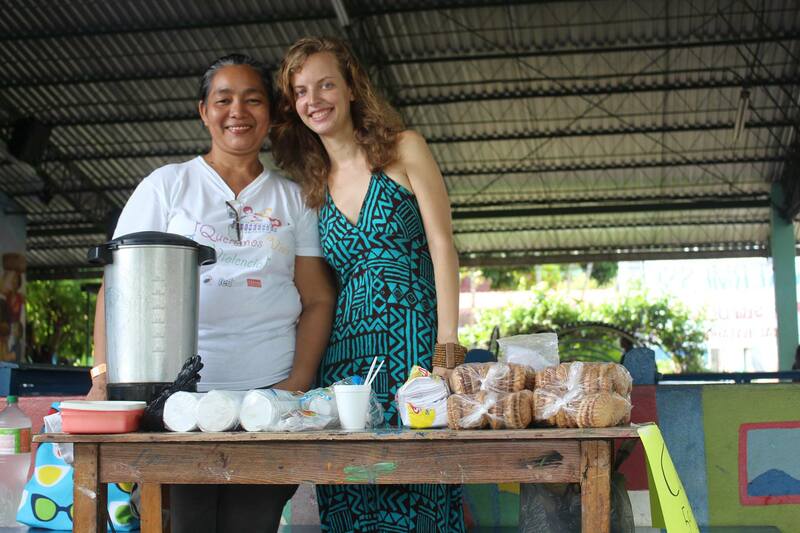 Currently, Roberta serves the Center through fundraising activities. She sells arts and crafts made by the Center’s students and staff at IHM’s annual From the Mountains to the Sea luncheon, after Sunday Masses at IHM, at local Christmas shows, and at local Catholic high schools. Thank you, Roberta, for many years of dedication and service to FOB. 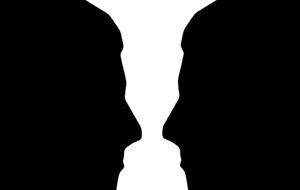 Understanding a new culture is like a visual perception puzzle. 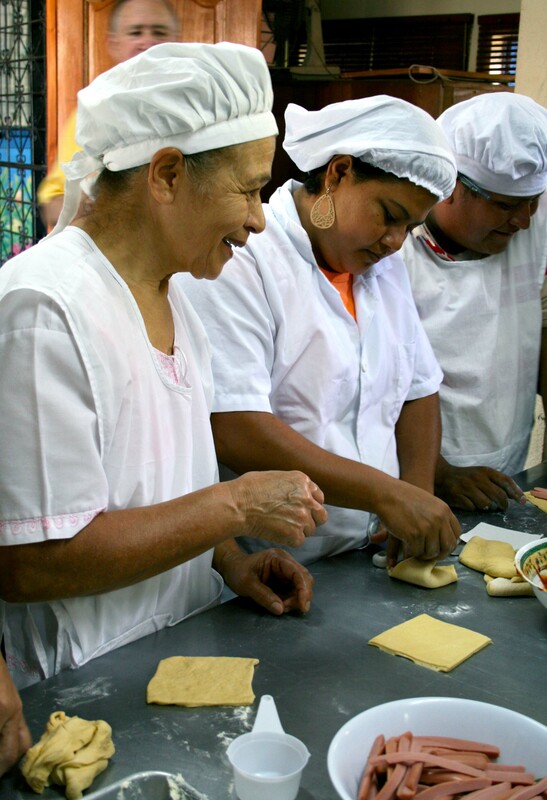 TIME: Nicaraguans have a relaxed sense of time. When a meeting starts at 10:00 it actually means more like 10:30. 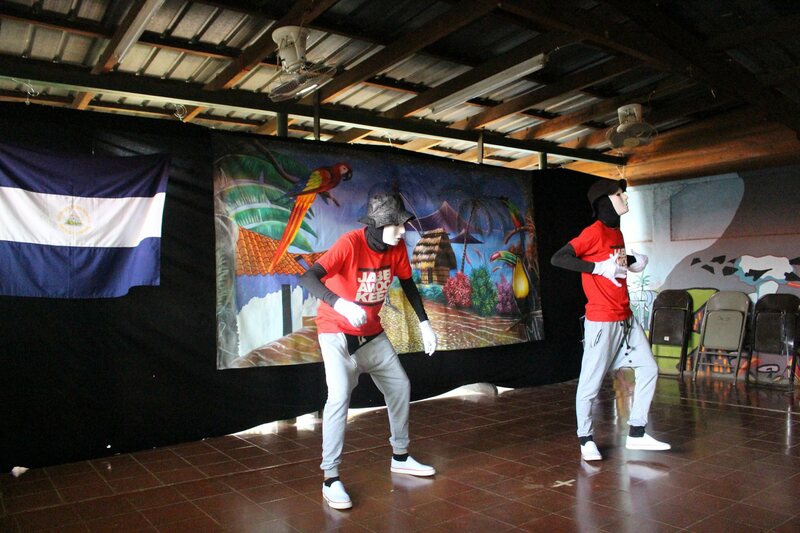 Overall, it seems Nicaraguans are much more comfortable living in the present moment, rather than focusing on the next items on their to-do lists. I love coming home after work, sitting outside, and chatting with my host parents and neighbors. 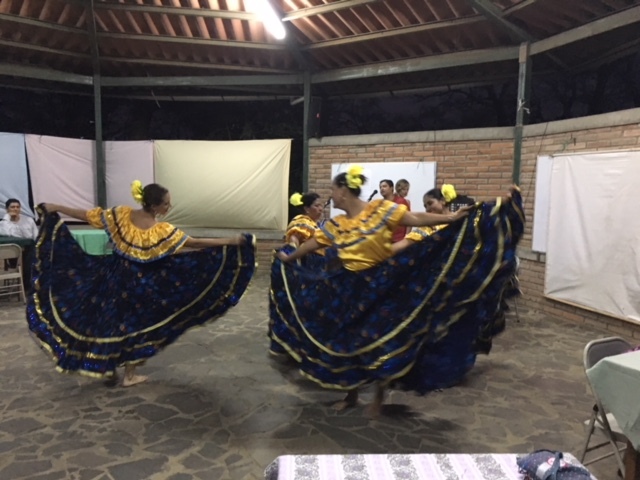 I hope I can bring some of this back with me, as I transition into the clock-worshiping culture in the U.S.
COMMUNITY: Being in Batahola often makes me forget that I’m living in one of the biggest cities in Central America. It’s essentially impossible to walk a single block without running into someone I know and stopping to chat for a few minutes about our days or to complain about the heat. I already know this will be the most difficult part about transitioning back to the U.S., but I’ll continue to look for ways to build community when I return home. SOLIDARITY: The first time someone offered to hold my backpack on their lap while I was standing on a crowded bus, I thought they were trying to rob me. I soon learned this is a common courtesy. It’s one example of the numerous little acts of kindness I’ve seen during my time here. It’s inspired me to work against my innately selfish instincts and look for ways to live in solidarity with those around me. GOD: Through my time here, I’ve come to see God in the incredible team of women who’ve dedicated their lives to sustaining the Center these past 34 years, like the dedication of guitar teacher Nineth who inspires a love of music in new generations (and who makes delicious gallo pinto for all of us in the choir after Mass each Sunday) and in the young violence-prevention workers who strive for a more just and peaceful society. I feel incredibly lucky coming to work every day and seeing the image of the Nicaraguan Christ portrayed in the Center’s awe-inspiring mural, welcomed by ordinary women and men with offerings of mangoes and corn. I know this gift of finding God in the people around me is something I will carry with me for the rest of my life. Clare takes time out to have a bit of fun with a student. Soon I will begin the next chapter in my life as a student in the Masters in Library Science program at the University of Washington. I’m incredibly grateful for the many thoughtful, passionate, and generous people I’ve had the privilege of getting to know during my time in Batahola. While I will no longer be here physically, I will continue to build solidarity and support for the Center from the States. Godspeed, Clare. Blessings for all your hard work and sustaining love. If you’d like to contribute to the ongoing mission of the Center, please make a donation today. 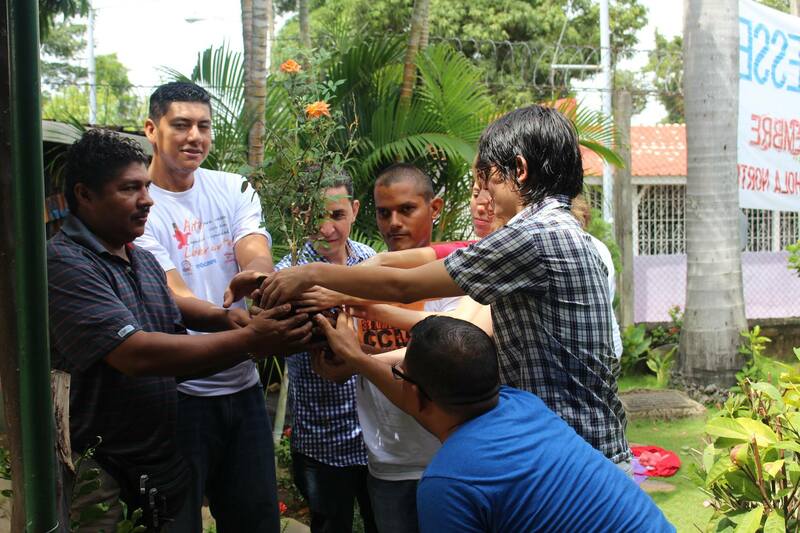 Our students, full of hope as they work toward a brighter future, need your support. Thank you! Friends of Batahola is a registered 501(c)(3) not-for-profit organization. 97% of all donations go directly to the work of the Center. International Women’s Day is not a celebration but a reminder of how women struggle worldwide. 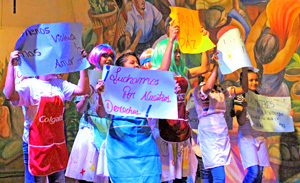 On March 8, International Women’s Day (IWD), the Center was a hub of commotion. 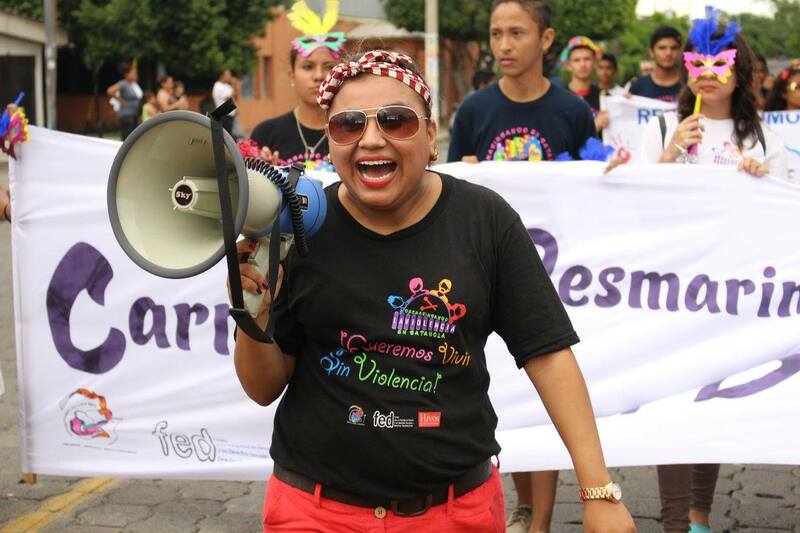 First, our gender-based violence prevention community organizers were up bright and early to take part in the women’s march in downtown Managua. These courageous adolescents walked under the unforgiving sun in an insecure political environment, demanding an end to violence against women and access to more land, dignified salaries, and more democratic and political opportunities. At the Center, our staff participated in the IWD strike. Everyone left their desks to gather in the chapel to pray and reflect on what the day means and what advances they’d like to see. They then portrayed their struggle and dreams on a banner that now hangs high on the Center’s fence. Painted words like sisterhood, hope, and we strike for us inspire and challenge the neighborhood. From its founding, the Center has remained committed to championing the rights of women, as well as the safety of women from violence and abuse. This year, the Center was graced with a new delegation of visitors: Terri Holman and Friends! 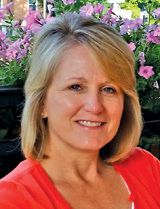 Terri is a former Friends of Batahola board member and long-time supporter of the Center. 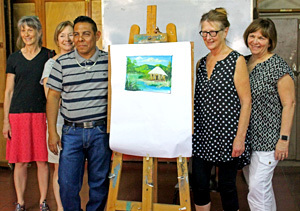 This past March, Terri, her husband, Herb (also a long-time supporter of the Center), and four of Terri’s friends escaped the Minnesota winter and walked into the blazing Nicaraguan sun. The Center and everyone’s favorite host mom, Doña Cony, welcomed all the new visitors with open arms. During their visit, each day started with yoga or intentional breathing exercises for the Center’s staff, led by guest Sharon Prier. Afterwards, most of the group was thrown into daily Center life. They helped in the English class, were inspired by our young gender-based violence prevention youth leaders, lunched with the Center’s management team, took a basic Spanish course taught by our English students, learned how to paint in the Primitivistic style, took a peek at all of the other classes in session, and even attempted folklore dancing! Meanwhile, Dr. Herb Holman and Sharon Prier were busy at work in “the clinic,” attending to all of our staff with acupuncture and reiki. “I don’t have words to express my gratitude and joy to see some of these people come back each year and share their love and work with us, especially Dr. Herb. Every year we look forward to his visits in ‘the clinic.’ This time around, it really helped my health and the health of my friends,” said Jessenia Cruz, the Center’s administrative assistant. “They’re such beautiful people. 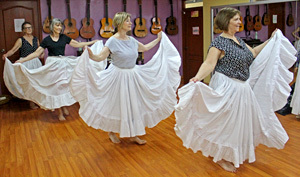 I was delighted to have been able to spend time with them,” said Karla Zamora, the Center’s folklore dance instructor. “It was a great visit. I had high expectations. 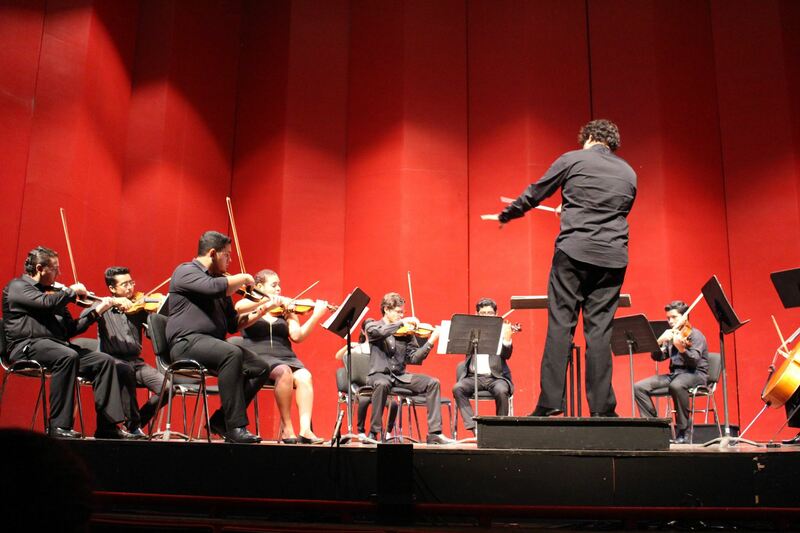 It was a wonderful experience for all of us,” said Cándida Martinez, head of human resources. Needless to say, we’re already counting down the days until Terri Holman and Friends return for their next visit! 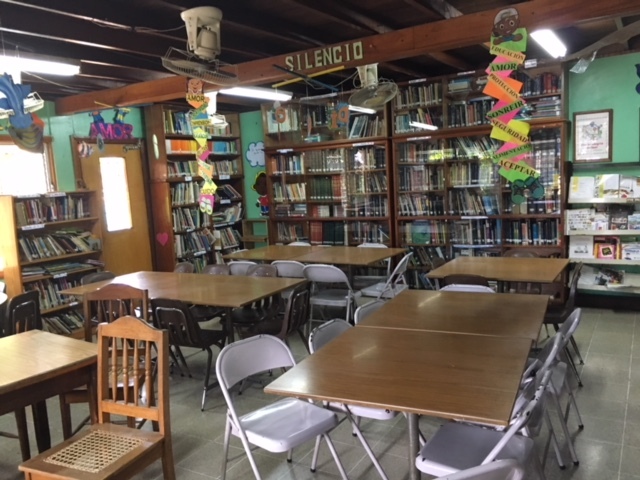 NOTE: If you would like to plan your own relationship-building group visit to the Center, contact Christina Blebea at christina.communicacion@centrobatahola.org. Online Extras: Shop Amazon Smile and Donate to the Center! Go to https://smile.amazon.com (or Google Amazon Smile) and sign in using your Amazon account. Type Friends of Batahola in the charitable organization search box. From now on, do your shopping on Amazon as you normally do – just remember to use the Amazon Smile address instead of the usual Amazon address. You may find it useful to add https://smile.amazon.com as a bookmark/favorite in your browser so you remember to use this address. 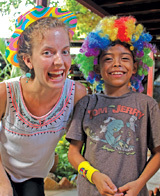 Online Extras: 7 Ways You Can Help the Center! Together, we’re transforming students’ lives at the Center through education… the most powerful force for positive change. You can help be the change by making a donation… no amount is too small. Click the Donate button above on the menu bar, and get started as a Friend of Batahola! $10 Provides weekly tutoring for students to get help with homework and learn good study habits from older students. $30 Gives two grade school students notebooks, pens, and other school supplies needed for one month. $55 Covers the cost of one session of games and projects for 30 families, fostering healthy parent-child relationships and encouraging child development. $80 Provides staff and supplies for 150 young children to develop a love of reading and learning. Eager readers are tomorrow’s leaders! $105 Buys 15 books for the Center’s travelling library which visits local schools. $200 Prepares 15 youth leaders as peer educators on topics such as self-esteem, self-care, developing good study habits, and caring for the environment. $500 Repairs or replaces 75 damaged books and buys supplies to keep the Center’s library and its collection up to date and well maintained. Get updated on what's happening at the CCBN! 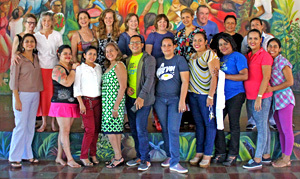 The Friends of Batahola is a not-for-profit organization established in the United States to provide resources for the growth and sustenance of the Cultural Center of Batahola Norte (CCBN). Friends of Batahola is registered as a 501(c)(3) public charity with the U.S. Internal Revenue Service. 97% of all donations to Friends of Batahola go to the CCBN, and all donations are tax deductible. 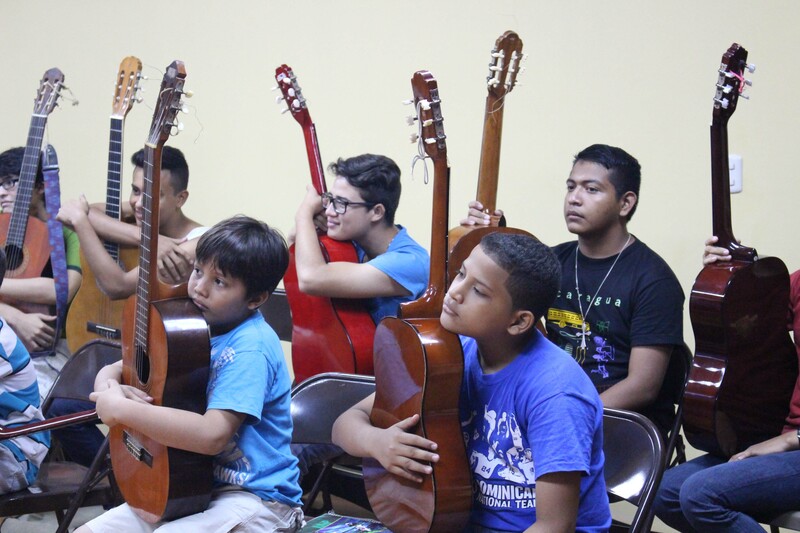 Friends of Batahola supports, sustains and promotes the Cultural Center of Batahola Norte in Managua, Nicaragua, through prayer, financial assistance, solidarity and building community, there by responding to the call of the Gospel.